Hey there everyone! Welcome to my new Healthy Diet Habits site! On this page, I'll share My Story! My name is Kerry Bacon, and I wanted to take a few minutes to let you know a little about me, and that I am a real person, and let you know why I have decided to do this site. I live in the Seattle area, where I have lived since 1994, when my husband was transferred here from California. We had always loved it here, so felt as if the move was “a dream come true”. I still love living here every single day, because I love beauty, and where can there be a more beautiful place in the world? My Dad was in the military while I was growing up, so I really am a world child, born in Germany where my story started, and raised in Australia for 4 years. I lived in Morocco for eight years as an adult, and traveled to Europe a few times. I fell in love with the Mediterranean diet when I lived there! I have two kids. Nate is 25, and has a diagnosis of Autism, but is high functioning. He is going to school at a technical college studying for a business certificate, and my other son Zach is 22, and a senior majoring in Accounting. They are both awesome! I wanted to tell you a little about Autism because that is a big part of my life and therefore, my story. Autism is a social communication disorder that affects 1 out of 100 kids born today. The cause is unknown, but it must be something very much a part of our environment, because it is so prevalent. This is scary to me. Autism has been a very painful journey for my family. When Nate was first diagnosed, we were living overseas, and were told he needed extensive therapies, so overnight our lives changed. This was a difficult time with many changes. We moved back to America and Nate started school in a class with other disabled children. He was smart and extremely bored, but we were told “Well, he is autistic and can’t learn.” We did not believe that. We pulled him out of school to home school him for his core subjects, and he went to school half time for socializing. This began our journey into homeschooling too. We also homeschooled his younger brother Zach, because he would sit with us and learn, and by the time he was ready for school, he was so far ahead of the other kids. This schedule worked well until Junior High School. At that point the kids were so unbearably mean at school, that we pulled Nate out and homeschooled both brothers full time. When Nate was in 11th grade, both brothers went back into public school until graduation. We learned many things dealing with Autism, some good and some bad. It is very difficult to have a disabled child, and there is much grief in the beginning. This was a very dark time for me, and I struggled, and felt alone. People felt sorry for us, but that did not help me. I really had no one to talk to about what I was going through. Looking back, I see that time as dark, but wonderful, because I developed a very merciful heart for others in pain. I can easily weep with those that weep, plus I do not shy away from asking the painful questions. I want to be there for people who are hurting, because no one was there for me to talk to early on. I believe people who are struggling want to talk about their struggles. The second big thing that I learned is that people with disabilities are amazing. I now volunteer with Young Life Capernaum, which is for high school kids and young adults with disabilities. I have so many friends who are so special!!!!! Just because you are differently-abled does not mean you are not amazing! My friends have no guile, love me, and are a great blessing in my life and my story, and are really the greatest blessing. 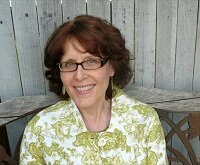 About three years ago, my friend Cindy and I, began talking about ways that we could help people with eating problems. I have a degree in Dietetics, and she is a Counselor for people with eating disorders. My interest has always been in Obesity. I began to start noticing that everywhere I went people were overweight, but also that their shopping carts were full of the wrong things. I found myself trying to engage people in the markets to chat about their choices. Oh, my! I actually hurt for these people that I did not know. I cried in church, when a very heavy lady was speaking that I did not know. I had to help! I felt that my knowledge of nutrition could help others, which is what I am all about anyway. Cindy and I decided at that point that we had some free time because our kids were in college. 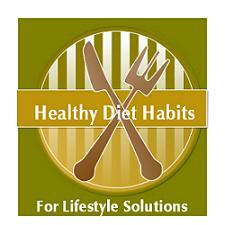 We started “Lifestyle Solutions”, a business to help people who want to make lifestyle changes, and eat healthy. The thing that makes us different, is that we do not espouse diets. We try and help people learn to handle food in their lives, which includes dealing with emotional eating, mindless eating, and healthy habits. This is such a great combination, and Cindy is a plus for my knowledge. We have taught classes at the local hospital for their community program, as well as for their employees, and also at various other venues. I love to write, and have developed a huge curriculum. My sister makes websites for people. So two sisters later, another business was born, my website “Healthy Diet Habits”. My Story begins online, and now I can help people worldwide to be healthy....my passion! My sister said I had to be vulnerable on my Bio about my own eating. I have mostly been lucky because I have great knowledge of eating strategies, and I love vegetables. I learned how to cook in Morocco, and know how to make vegetables taste amazing. I believe the more you know, the more you can eat. I know a lot, and know all of the ways to eat a lot, and cheat and not gain weight. I live in Seattle which has bad weather in the winter, so I consistently gain 5 to 10 pounds each winter and take it off in the summer, when I exercise more. I never buy bigger clothes, which means sometimes my pants are tight. This has been embarrassing when I am teaching a class, but forces me to keep my weight under control. I struggle with emotional eating at times. I have a night time nibbling problem, and I eat when I am bored at times, and I love, love, love tortilla chips. They are a total trigger food for me. I have a list of food policies that I follow religiously, and they help me to keep my eating on track. I have also read several books on emotional eating in the past few years, and have learned that I have to have a plan to deal with boredom. I am never bored since I joined Young Life. I greatly encourage volunteering if you are bored! I eat well most of the time, but I also do not deny myself. If I really want something, I will have a small piece. Thank you so much for listening to me and reading My Story! I have over 100 pages of curriculum to put into the website, so stay tuned and check back. I promise to always be practical, and not waste your time! If you have a topic you would like to hear about, let me know and I will chat about it either on the blog or as part of the site.